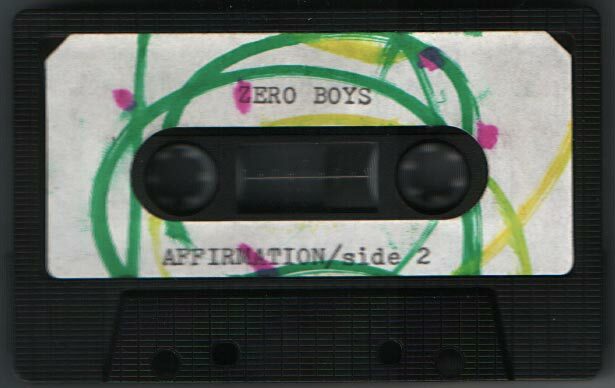 I forgot to ask Paul Mahren the singer of Zero Boys the history about this tape back in 1991 when I arranged a gig for them at Skylten in Linkoping/Sweden. Why wasn’t it released on vinyl? Why the “Boycott Upstart Records” on the sleeve? Where Upstart supposed to release it and fucked them over? Dunno. Paul was a super nice guy to chat with and the only let down from the show was that they forgotten to play Beach Blanket from their come back LP: Make It Stop which is as good as any of the stuff from their first. 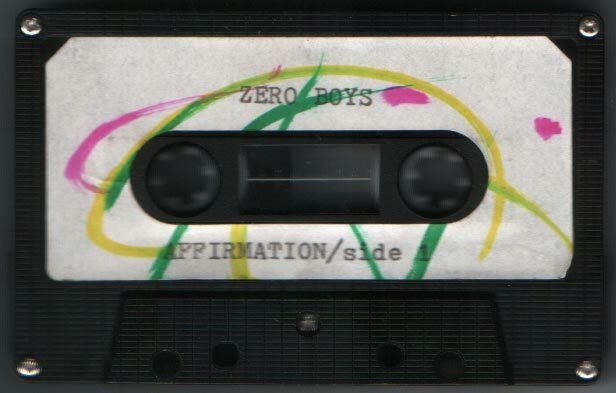 So if anyone knows the history behind this tape please let us living in darkness be enlightened! Strange Reaction posted this sometime ago but I thought I might just add my own rip too. The re-issue is out now so please buy it. Mr. Shake, yeah, Kurt = Yukki. The DVD is out now. I think I heard it was gonna be on Upstart Records (although Mike Moser will likely be surprised to hear that). History of cassette, fabulous. How many memories, how much nostalgia.